The machine is designated for cleaning of soles and boots when entering in and going out of working areas. It consists of two modules. 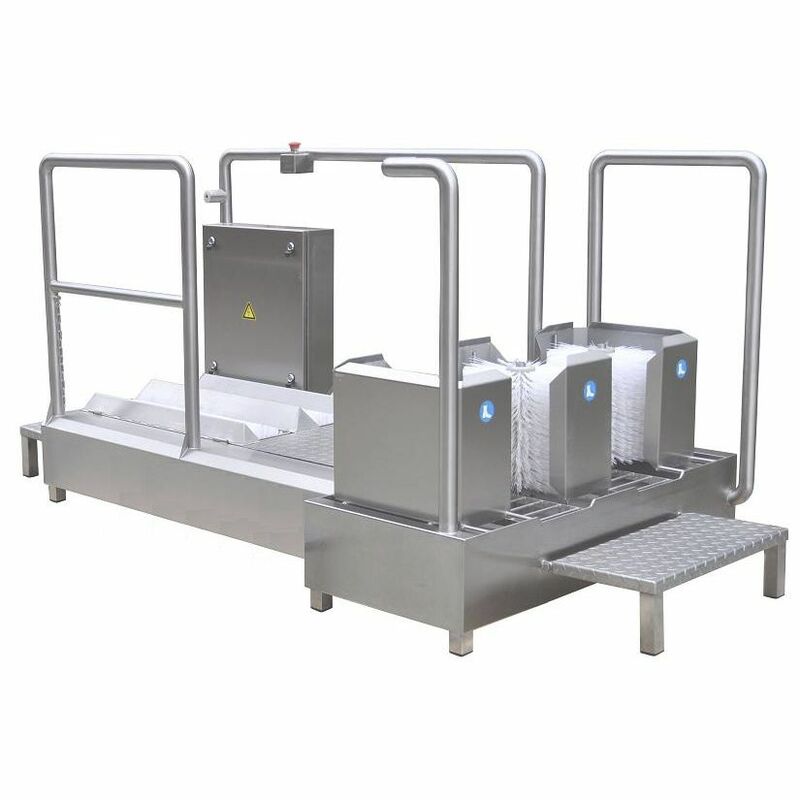 The pass-through boot cleaning module consists of three vertical and two horizontal brushes, the pass-through sole cleaning module consists of another two horizontal brushes. All of the brushes have independent motor-gear. Оne capacitive sensor on the boot cleaning module switches on the rotating of the brushes. The machine is made of stainless steel 1.4301 DIN (AISI 304) and complies with the Council Directives No. 2006/42/EC and 2006/95/EC and USDA regulations.